INDOFA UTAMA MULTI CORP, PT was established in 1967 in Surabaya - East Java, Indonesia as a privately owned company. 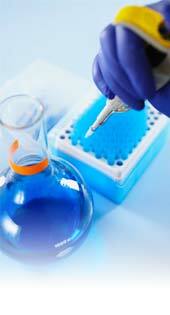 At the start, laboratory Chemicals was the core business and our business activities only covered East Java. All our business activities are centered in Surabaya, where the head office is located. Since 2008, our company name has been changed to INDOFA UTAMA MULTI CORE, PT. Today, INDOFA UTAMA MULTI CORE, PT has a branch office in Jakarta and a representative office in Semarang. General Laboratory and Scientific Equipment. Laboratory Glassware and Plastic ware. Our geographic market covers the whole Indonesian territory and we are distributing the products as a wholesaler, for retail and for specific projects.